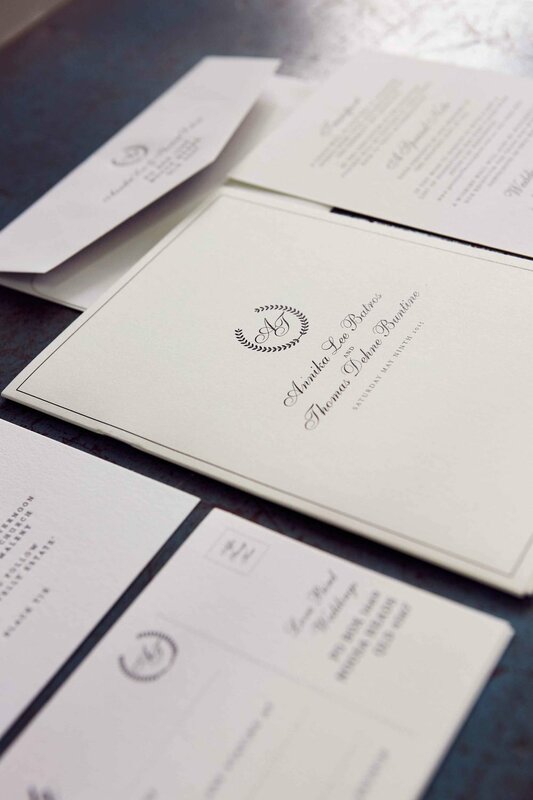 At Little Peach Co., we like to work closely with every client to create one-of-a-kind letterpress wedding invitations that they will never forget. 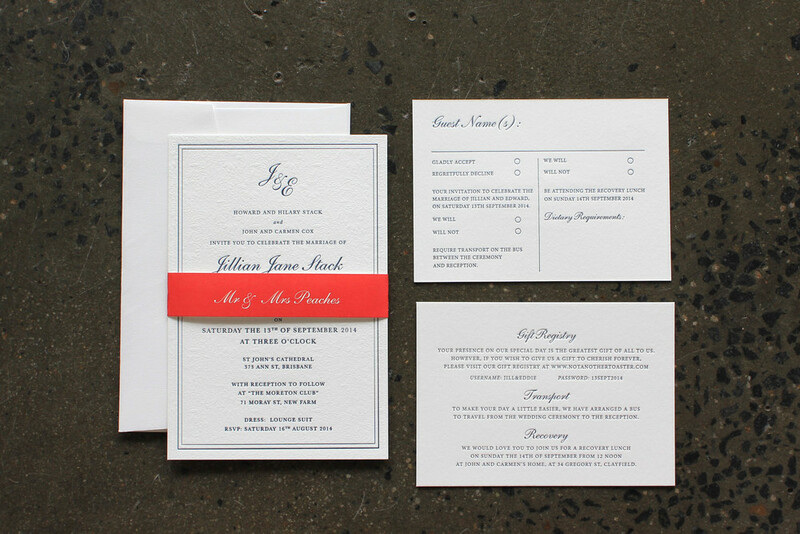 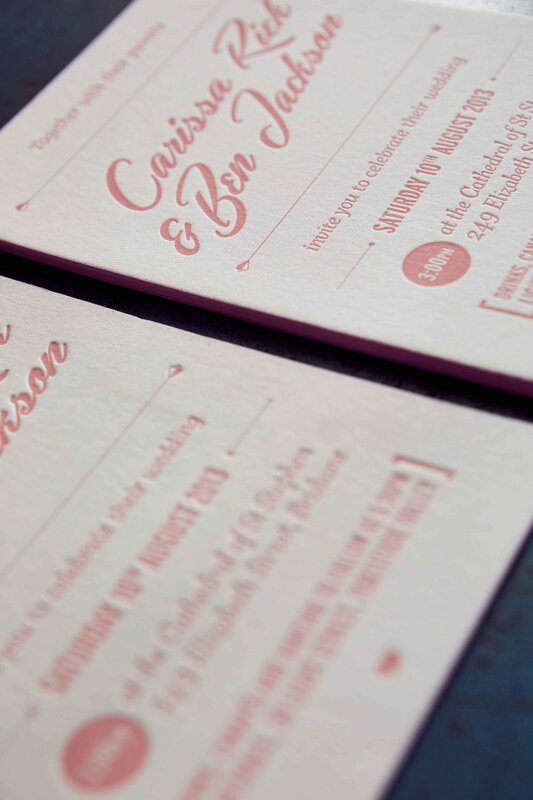 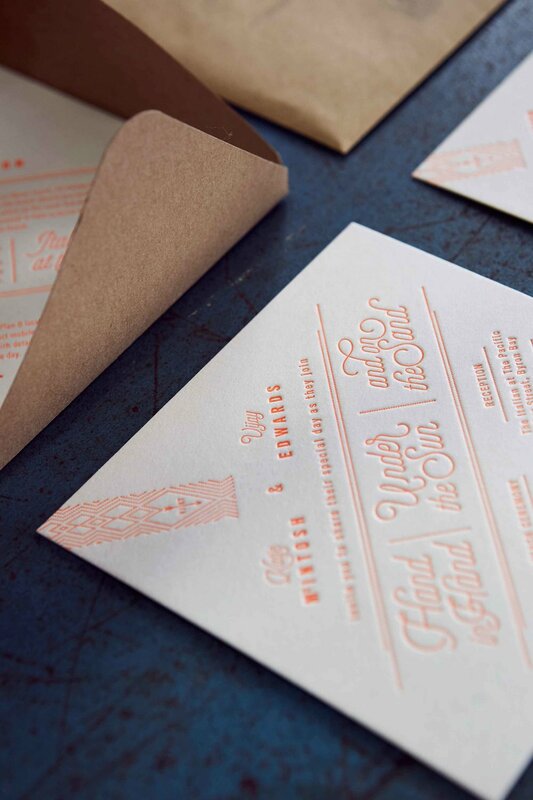 At Little Peach Co., we believe that there’s nothing quite like good old-fashioned letterpress wedding invitations. 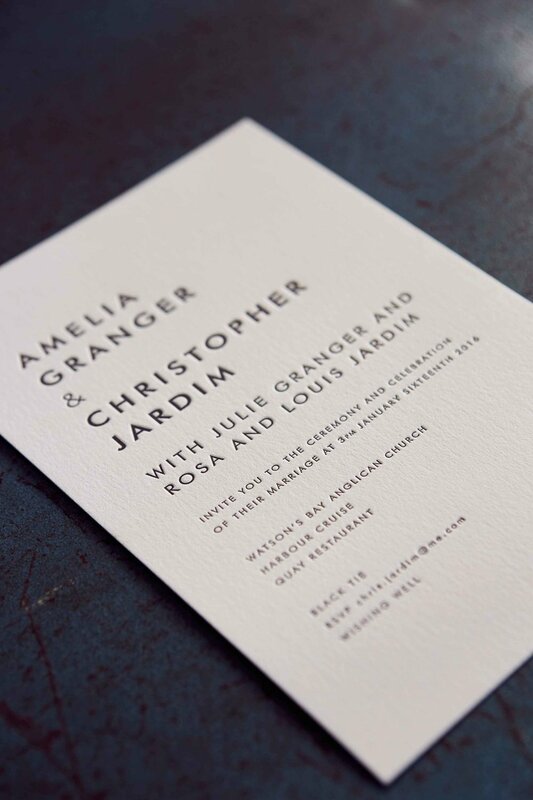 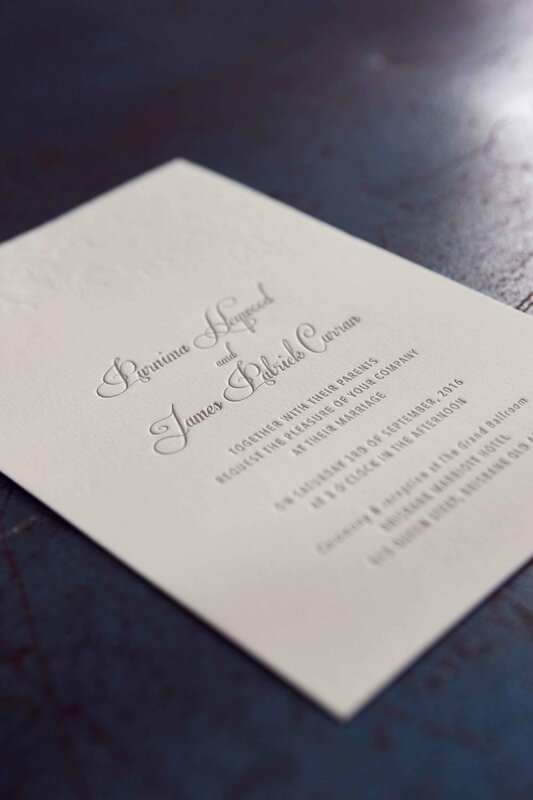 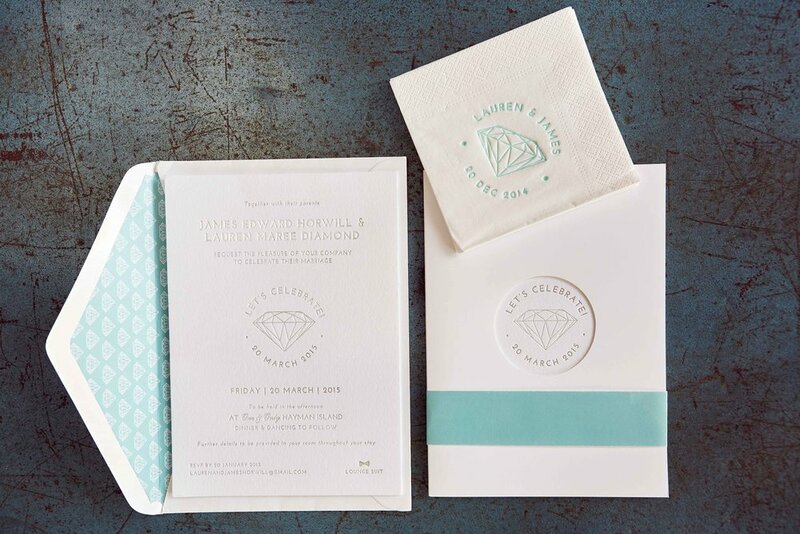 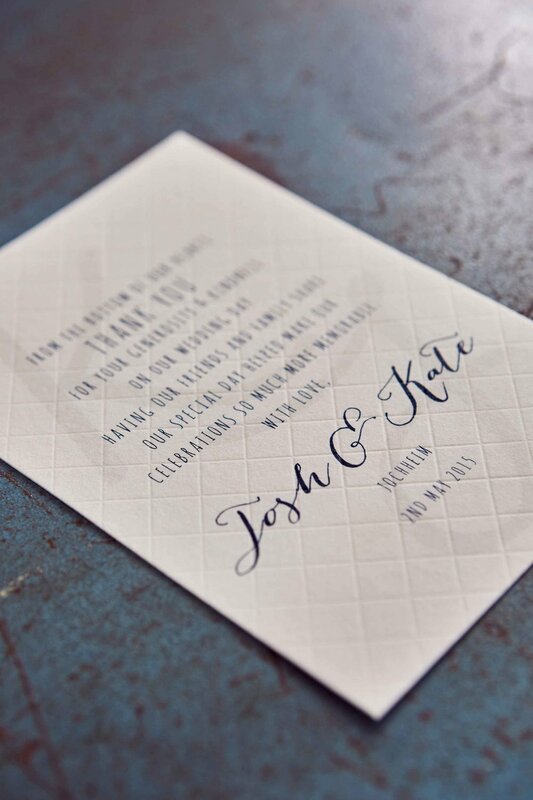 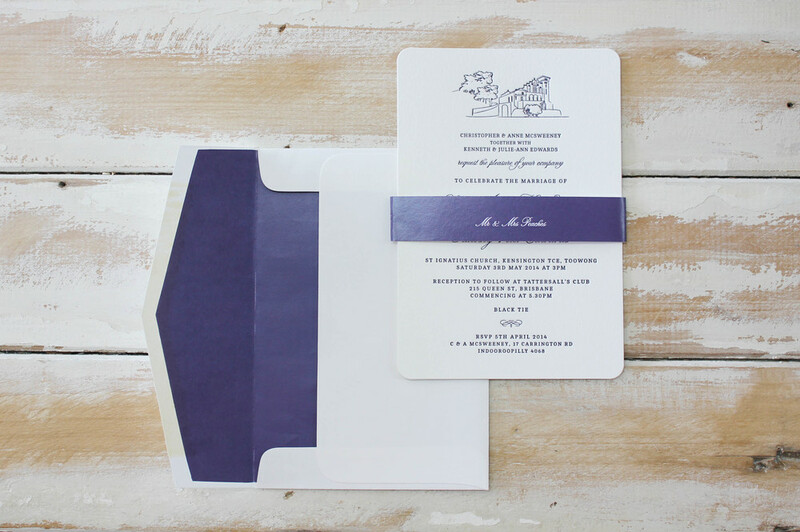 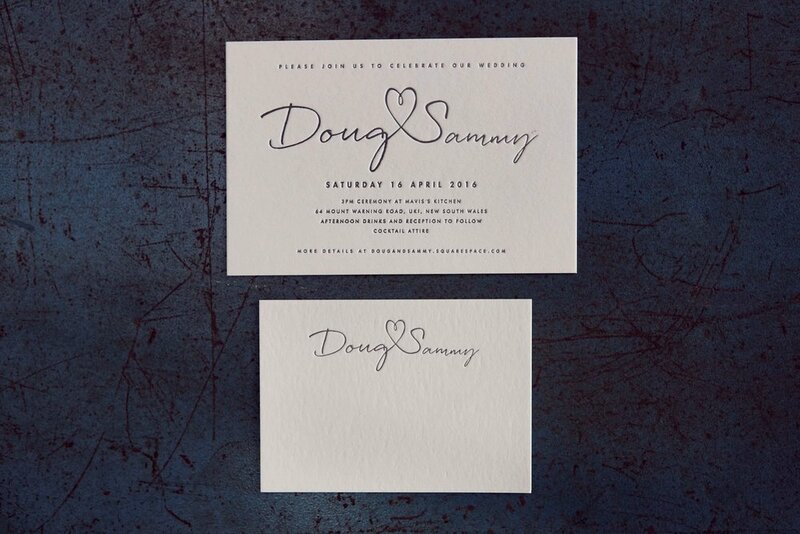 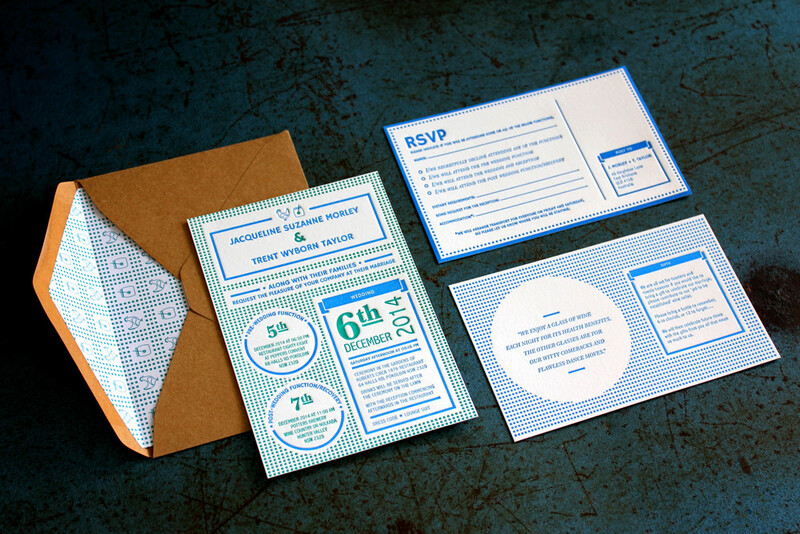 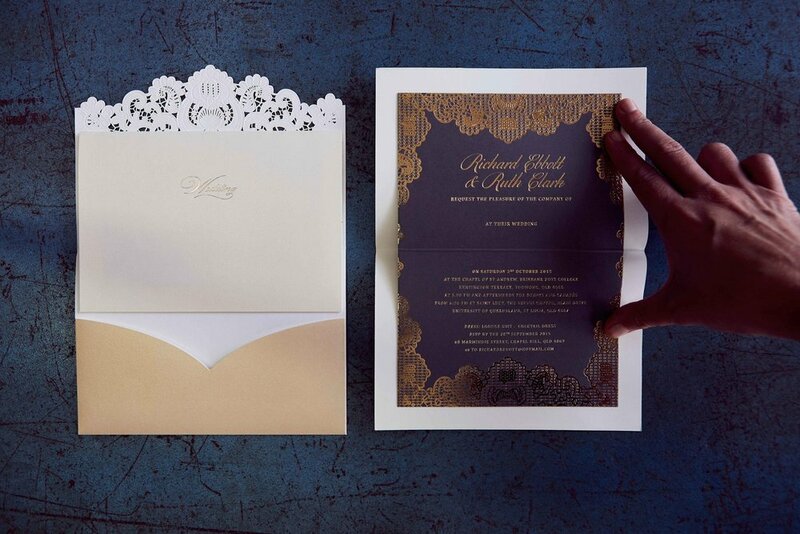 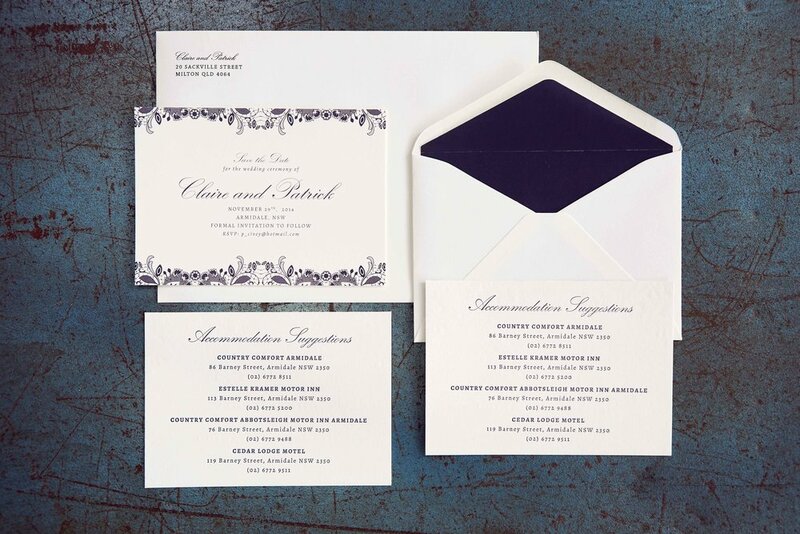 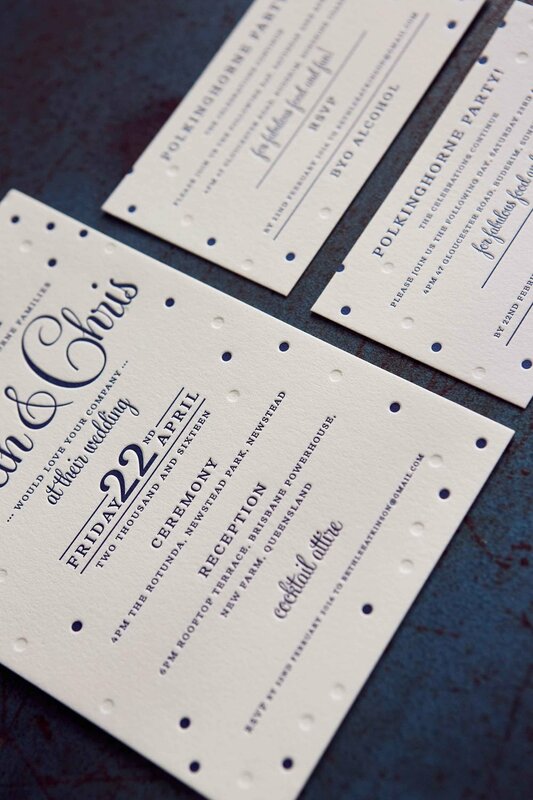 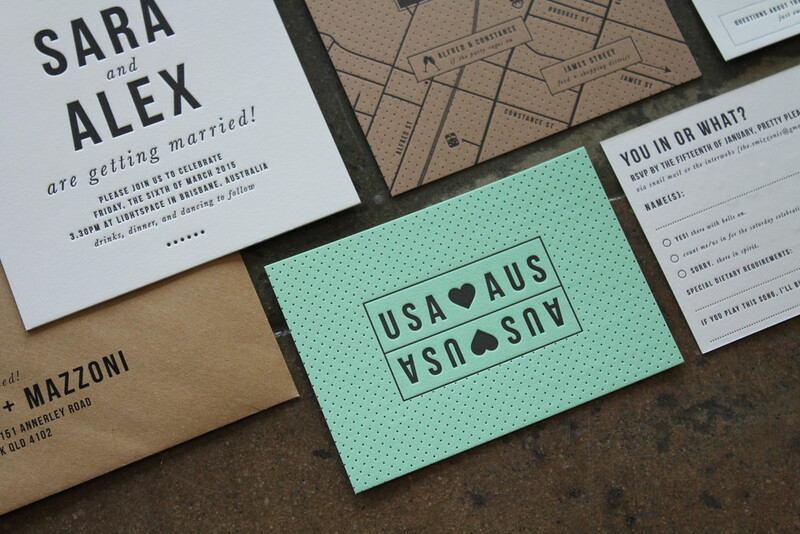 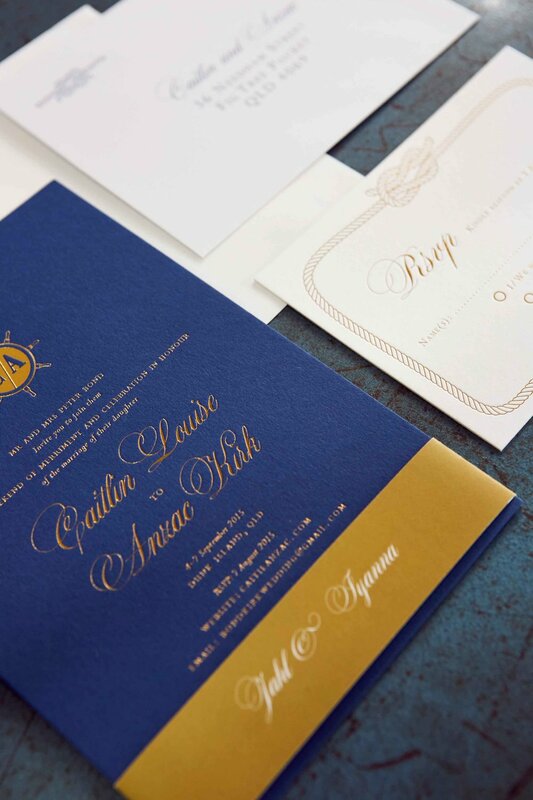 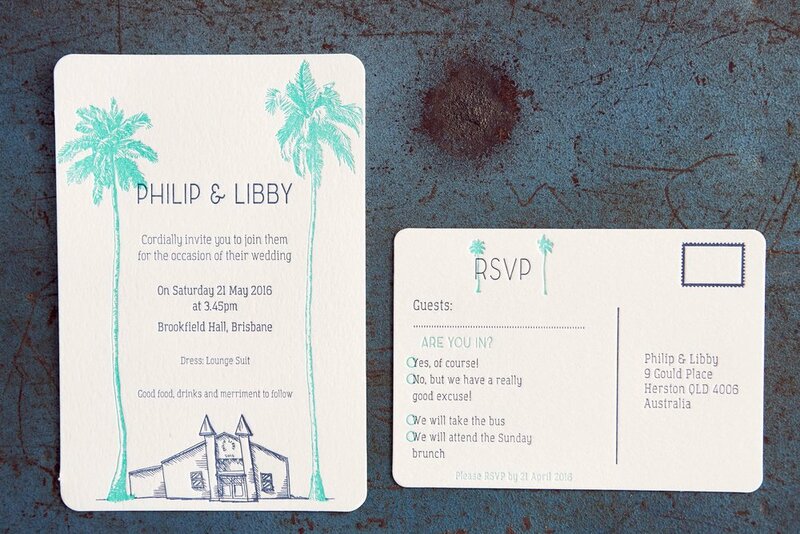 With our letterpress designs, your invitations won’t just announce the big day. 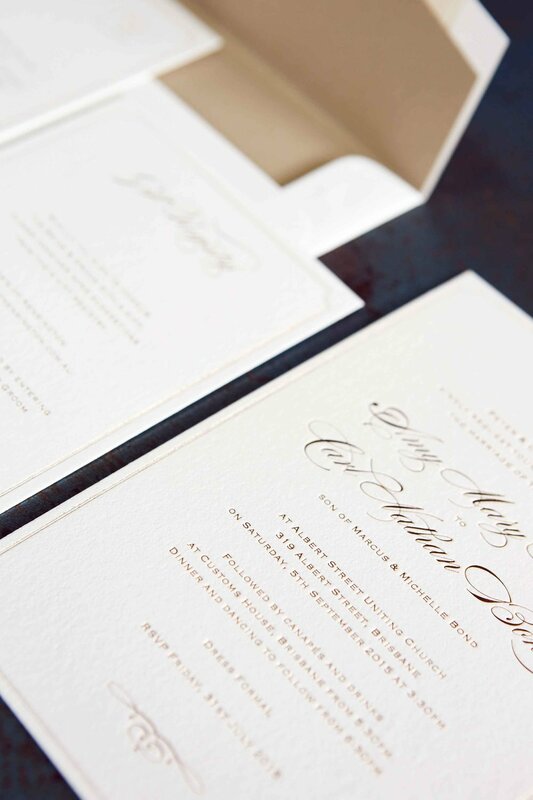 We’ll work together to create something that fosters excitement and represents the occasion perfectly. 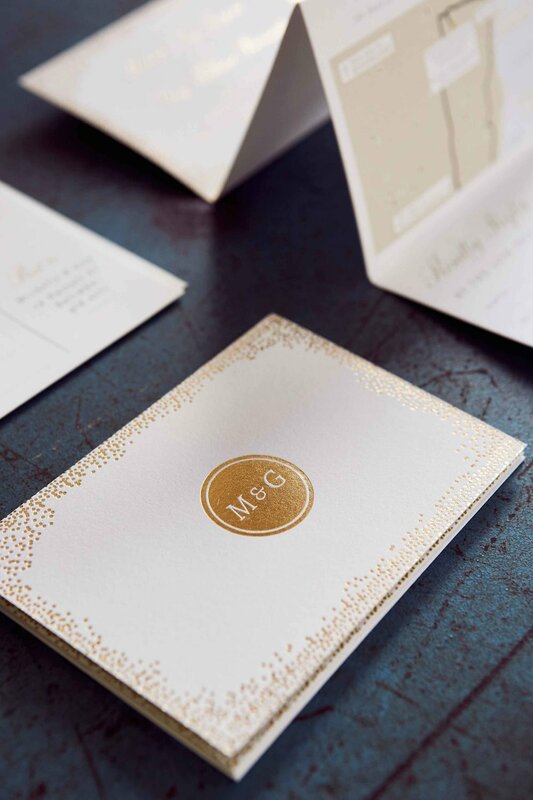 Whatever look or feel you’re going for, we’ll apply our expertise and passion to deliver a lasting first impression of the day you and your loved ones will remember forever. 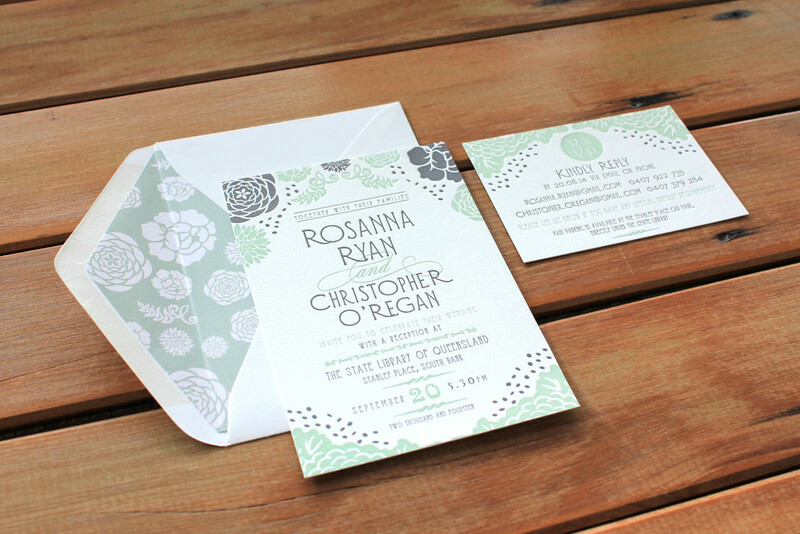 Below are some examples of recent letterpress wedding invitations we’ve designed for our clients. 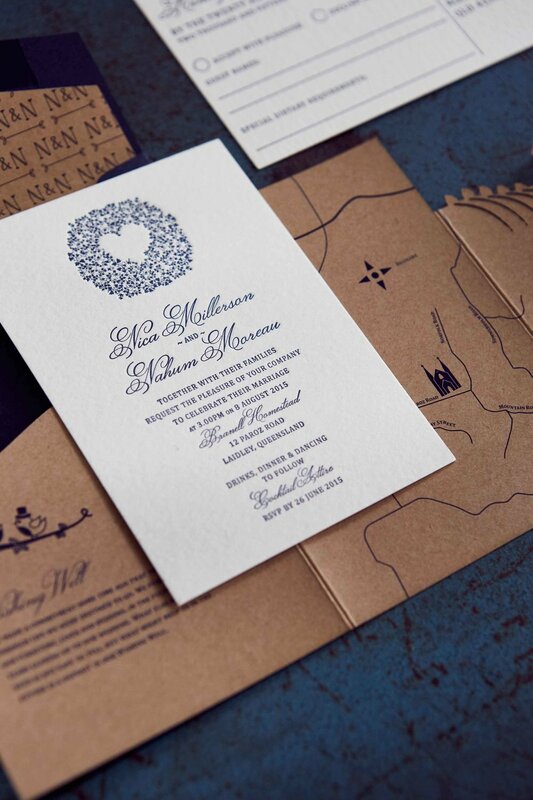 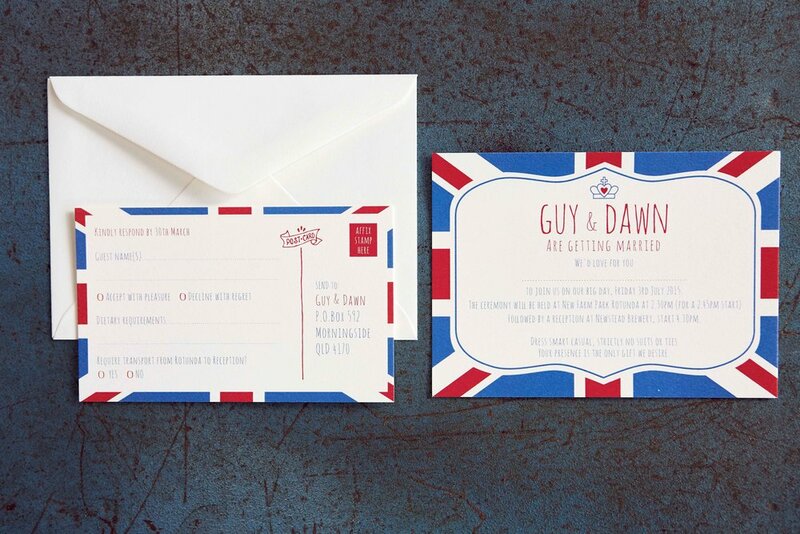 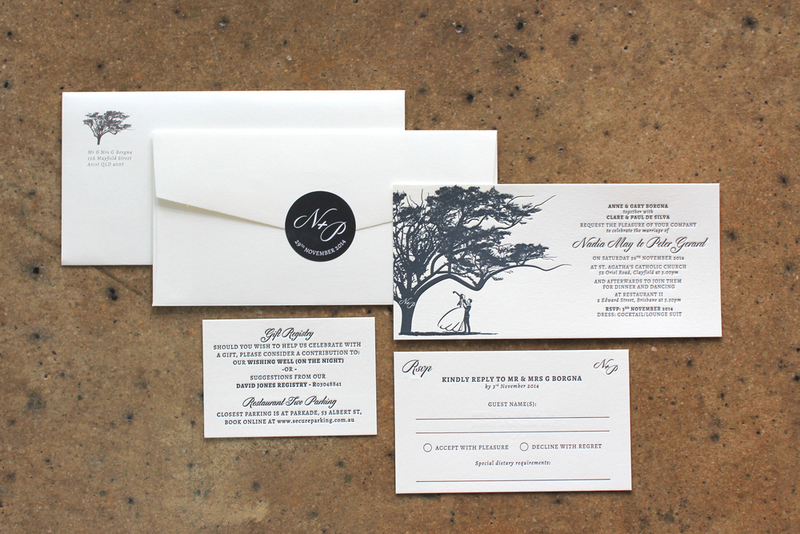 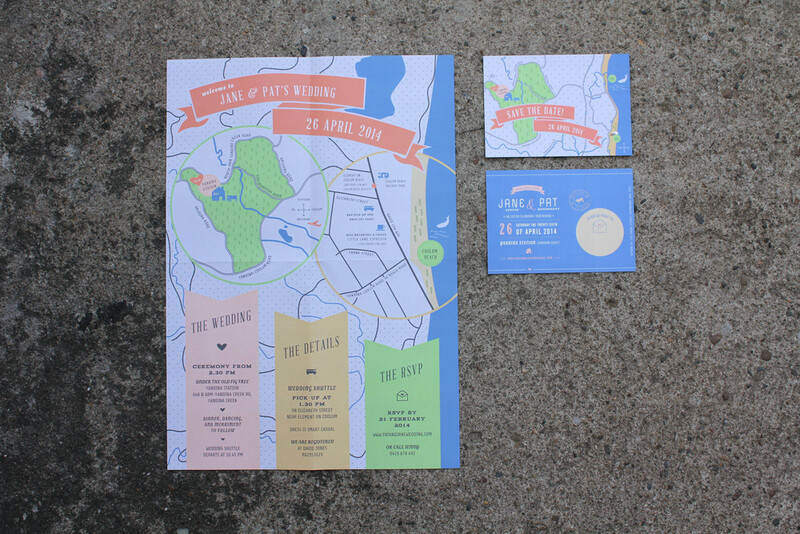 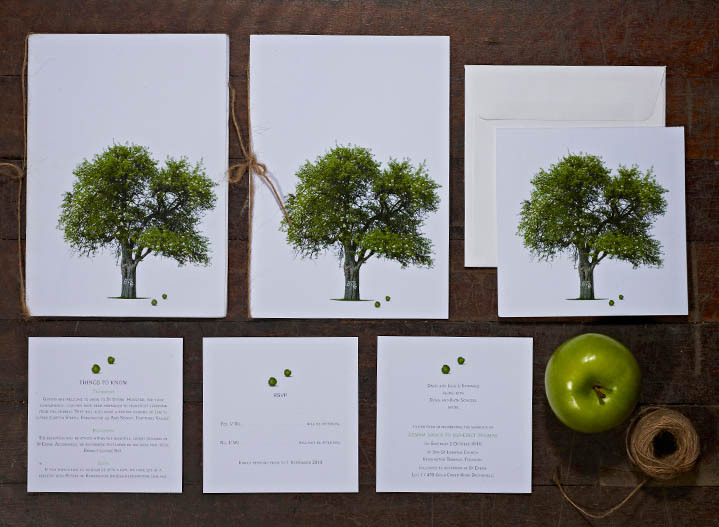 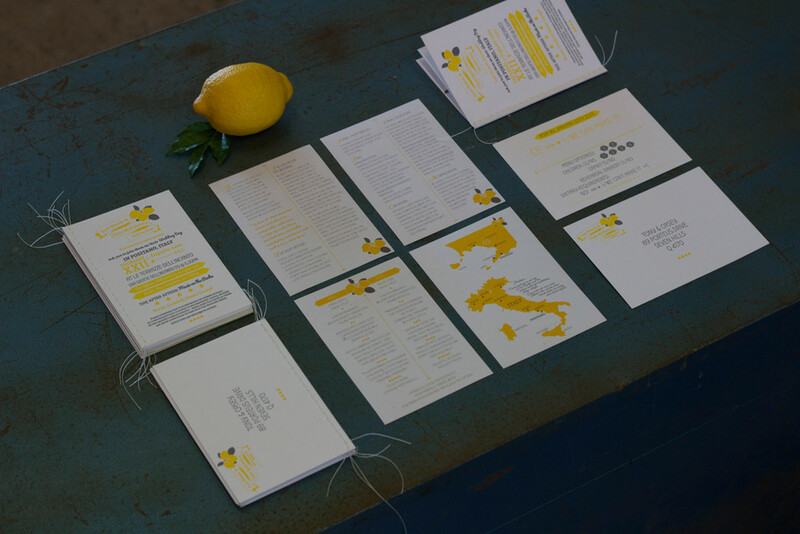 As you’ll see, we work closely with every client to create one-of-a-kind wedding stationery. 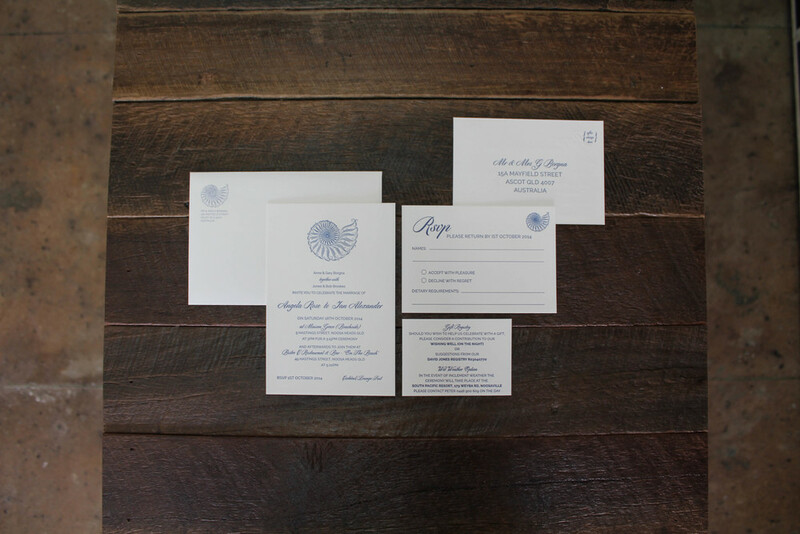 If you have a wedding coming up, contact us today to book a design consultation with our friendly and knowledgeable team. 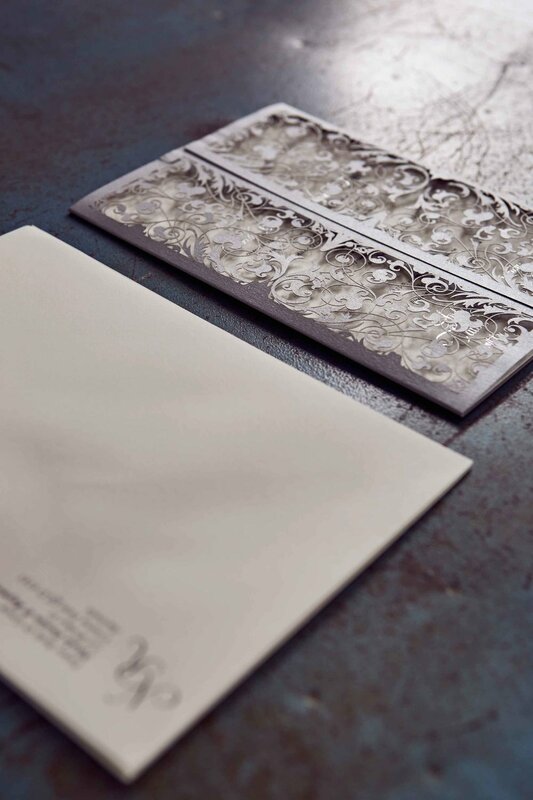 For that extra special touch, we can also add matching stationery to your order, including thank you cards, gift tags, seals and more.